The LDQPC quasi-pulsed laser diode drivers are specifically designed for low cost high volume applications. 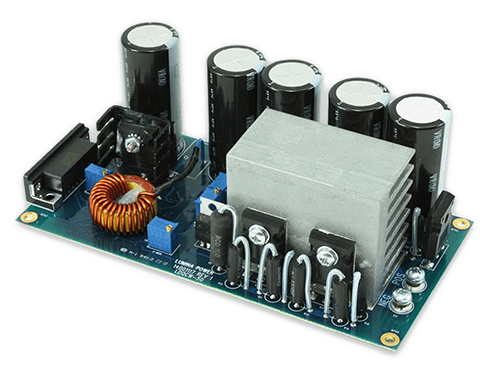 These DC input modules are available with average output power to 100 watts and current output to 200 amps. With a rise/fall time of <10us. they are ideally suited for compact short pulse laser applications. All configurations require 15 volts DC and feature a simple analog interface. Output current and voltage can be specified to meet your requirements. LDQPC Series Laser Diode Drivers Data Sheet.